I love reading behind the scenes posts, because it’s fascinating to see how other bloggers put together their content. How long it takes to write/photograph, the order they do things in, bits of their process that are unique, etc. are all really interesting to me. 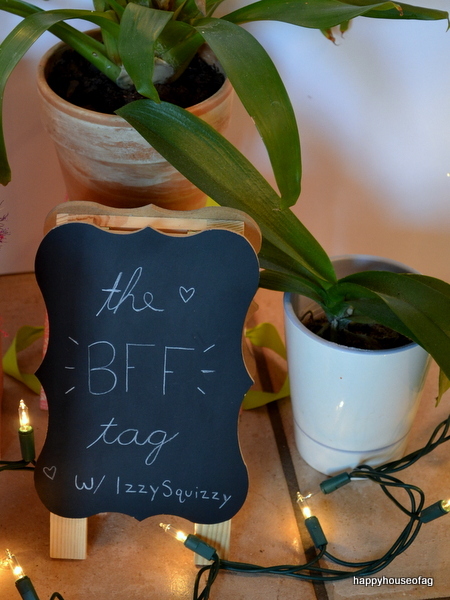 So I thought I’d share how I made one of my recent posts, The BFF Tag With Saige & Isabelle. First of all, the idea itself came from those best friend Q&As you see on YouTube. I searched “BFF tag questions” and ended up on YouTube Society, which is where I got all the questions from. I copied and pasted them into WordPress and wrote my story around them. I usually create my photostories the other way — pictures, then writing — but I did it differently that time for some reason. Next, I set up the scene in the kitchen, where there’s great natural lighting. 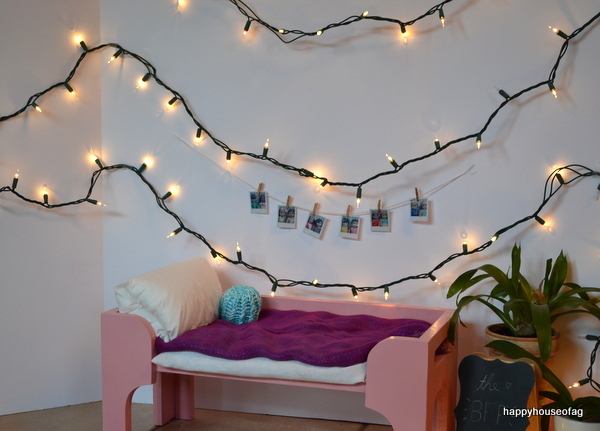 I wanted the setting to look like the rooms you see on Pinterest: clean and modern, lots of lights and plants. The background is just a poster board with Christmas lights taped on it. I use it as the backdrop in lots of posts, because it’s easy to change up the way it looks by draping fabric across it, putting up a poster or decorations, etc. 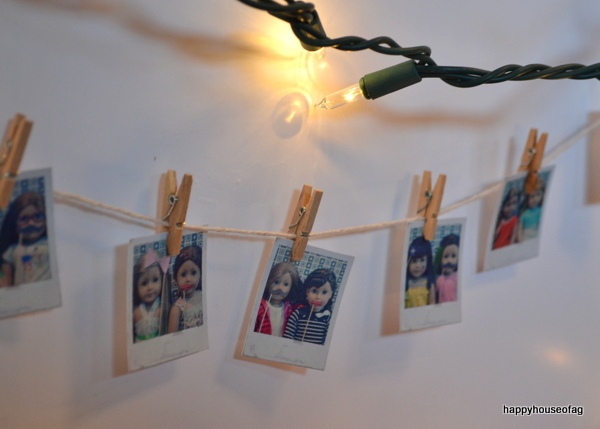 I see photos of cute polaroids strings all over the internet, so of course I had to include some. 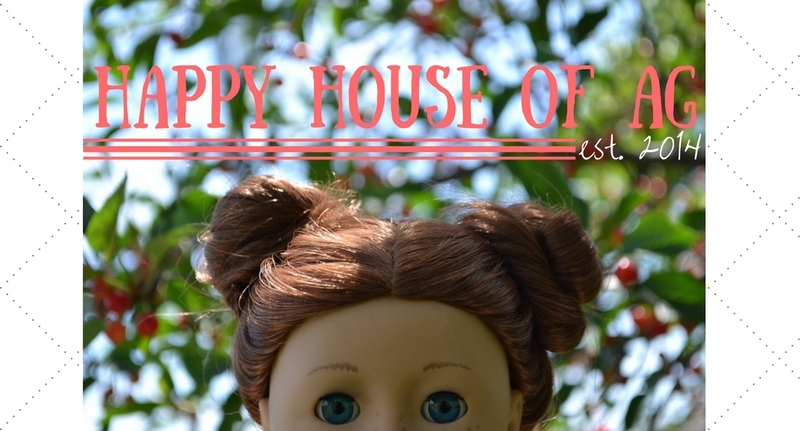 :) I posted a DIY for them here. I got this mini chalkboard for Christmas one year (I think it’s from Michaels). The other side is a dry erase board. I thought the plants were a cute touch; the one on the right is my mum’s orchid, and the one in the back is mine (it’s name is Barakat, learn more about it here). 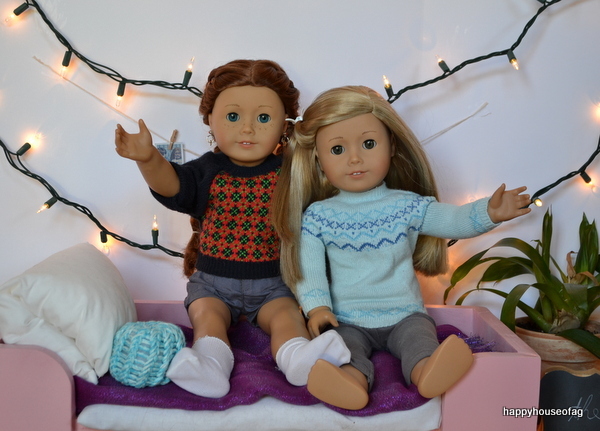 For the first picture in the photostory, I wanted my dolls’ camera in the frame. But the only tripod I have is ridiculously short (and broken . . . I stepped on it once after my first AGSM endeavor). 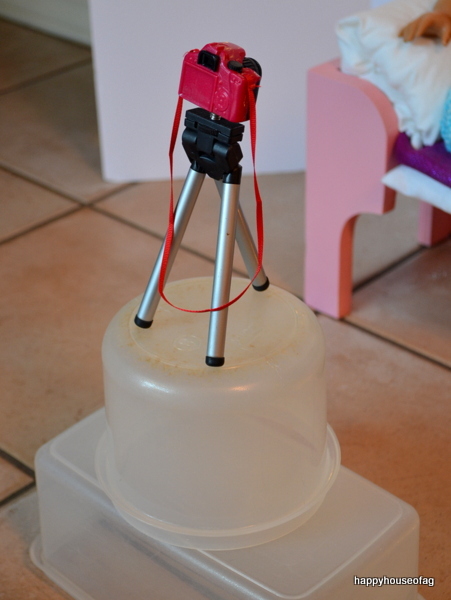 So I stacked some Tupperware containers and balanced the tripod on top of them so it was the right height. I balanced my camera on the edge of a chair so I wouldn’t have to put it down while setting up my next shot. 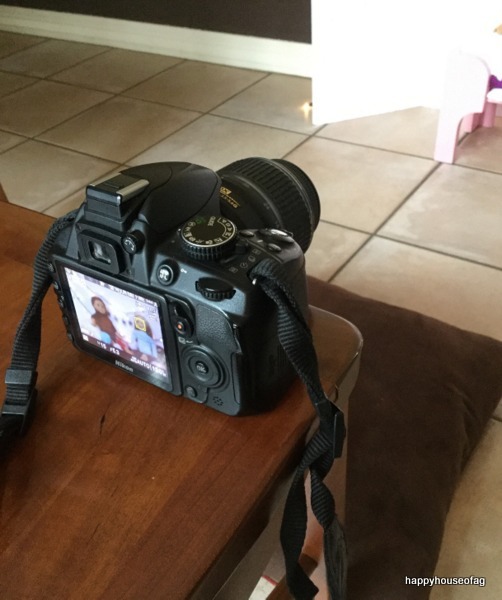 Also, I put a pillow in front of the chair so that if the camera fell, it wouldn’t break. Saige: Molly McIntire’s meet outfit sweater, shorts from the retired AG Skateboard Set, socks from Our Generation, and earrings from the AG Fresh and Fun Earring Set. Isabelle: sweater and leggings from the retired Frosty Fair Isle Set. I hope you guys enjoyed getting a quick peek behind the curtain and learning about my blogging process! Would you like to see more (hopefully longer) behind the scenes posts in the future?